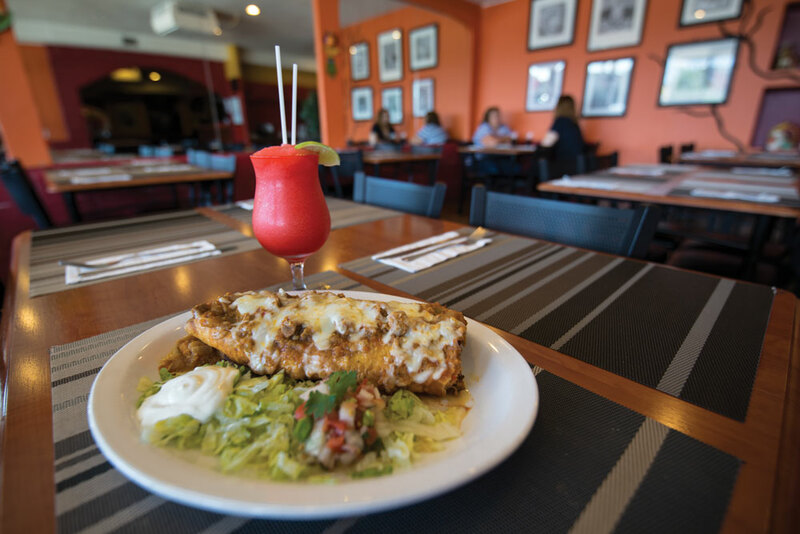 Head to Acadia to try some great Mexican food, shop at a European deli and play a game of tennis in a world-class facility. 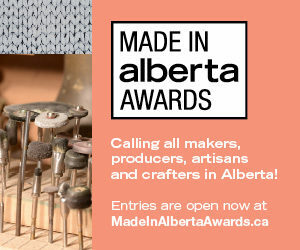 Despite being adjacent to Macleod Trail – one of Calgary’s busiest arteries – in the 1950s, the neighbourhood of Acadia was on the outskirts of town, nestled into quiet farmland. As the city grew around it in the decades that followed, Acadia retained its tranquil nature. Filled with towering trees, parks brimming with children at play, picturesque bungalows and nine different schools – including three bilingual schools, a charter school and the city’s largest high school – the area is perfect for families. And there’s never a shortage of things to do: from comedy shows and winding walking trails to swimming, skating and curling. Chile verde chimichanga at Tu Tierra. This mom-and-pop shop is the perfect locale for family-style classic Italian dining. From seafood and veal to pasta and the secret-recipe pizza, they’ve got it all. Don’t pass up the Parma e Funghi pizza with a basil pesto base, prosciutto di Parma, mushroom, arugula and truffle oil. Toscana also has a gluten-free menu and satiating daily specials. Located inside the Carriage House Inn, this is a true sports bar, with 16 beers on tap, 16 large-screen TVs, and an endless supply of flavoured peanuts or plain for peanut purists. Grab a casual pint with friends and, provided you don’t fill up on the namesake snack, delve into the menu for classic pub fare such as wings, burgers or an Angus beef steak sandwich. If you’re looking to stock up on ingredients for a traditional Polish dish, or simply have a hankering for Slovakian pastries or classic European sweets, this is the spot. 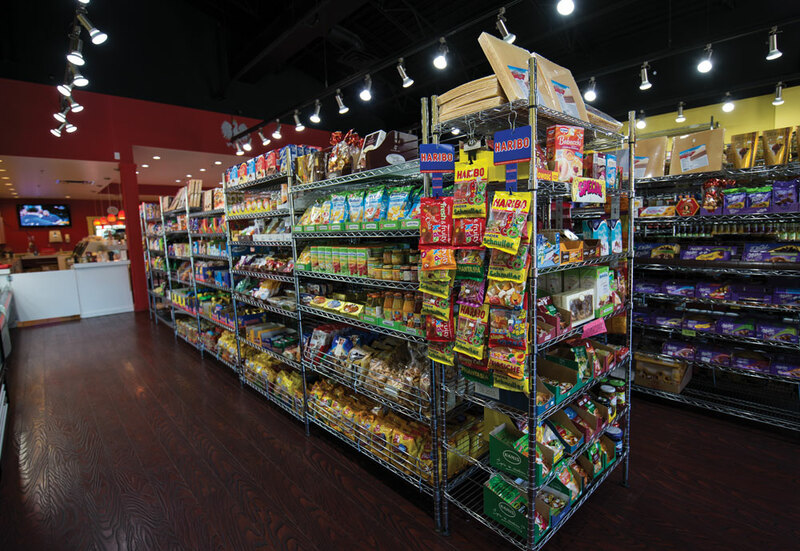 The family-run deli and market has built a massive fan base since opening six years ago, and it’s no surprise. The array of fresh imports and richly prepared meats, cheeses and pastries are a feast for the eyes and stomach. With bicycles hanging in every direction you look, there’s no shortage of choice at The Cyclepath. 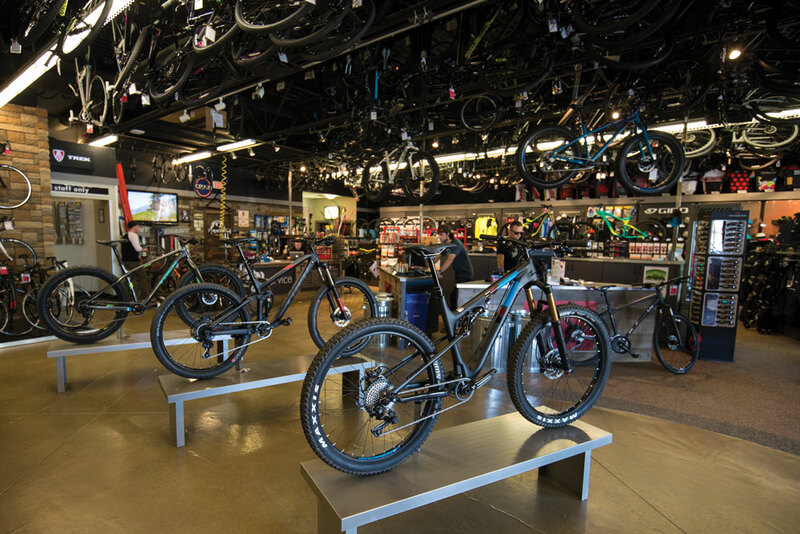 Over the past 22 years, this bike shop has become a staple for the riding crowd, catering to any cycling need, from kids’ trikes and high-end mountain bikes to an extensive range of accessories. barbecue, the 35 varieties of sausage are all made in-house with no fillers, no gluten and no dairy. For just $10, you can get your comedy fix six days a week at this intimate venue nestled inside a Travelodge. The Comedy Cave brings in acts from all across America to headline for the week, something the house emcee, Terry Hollas, says keeps things fresh and guarantees that every week serves up new laughs. 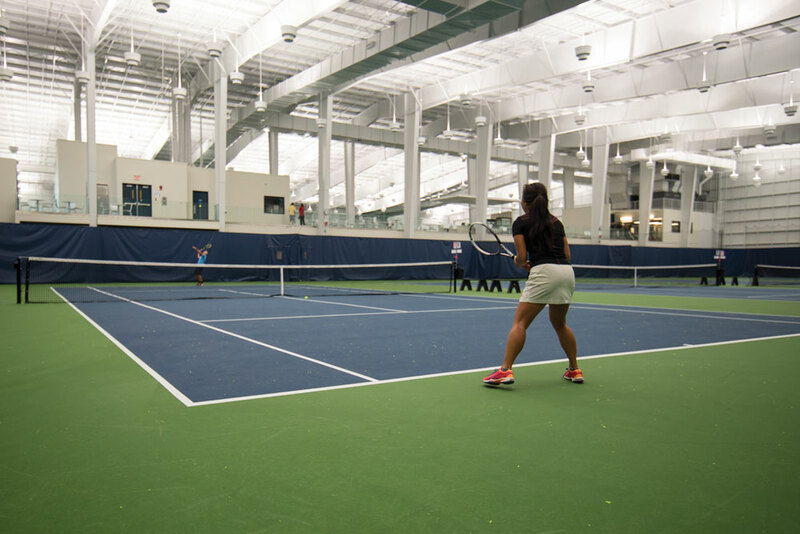 Years in the making, this world-class tennis centre opened in Acadia this past spring. The 71,000-square-foot facility boasts eight indoor courts, five outdoor championship courts, a fitness centre and a restaurant and lounge. It’s the ultimate destination to channel your inner Venus and Serena Williams, break a sweat and maybe even release a little aggression. As Calgary’s weather starts to dive below zero, a hot yoga class at this trendy studio is the perfect escape. With a diverse roster of 11 instructors to guide you through meditative and strength-building poses, there’s always the opportunity to learn something new while you quiet your mind and heat up your body. 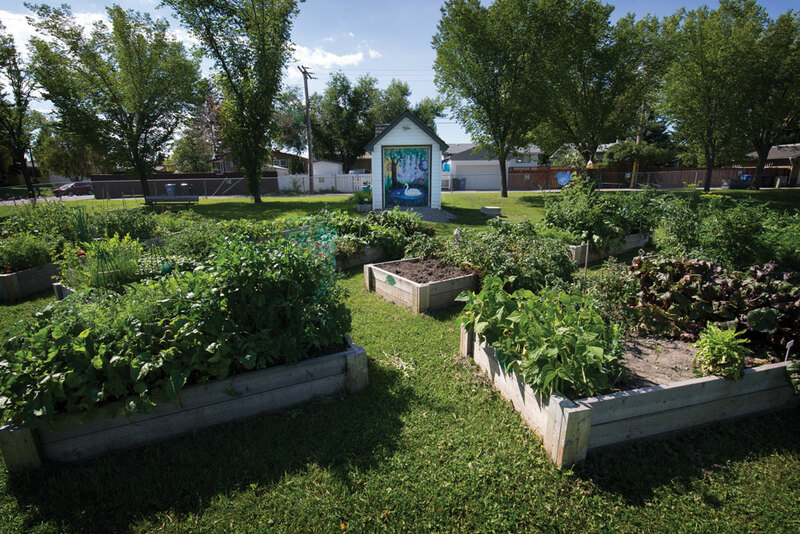 by 32 plant beds, the mural of a swan resting in a pond remains as the Acadia Community Garden & Art Society’s flagship mural. Being surrounded by walking paths, parks and schools has made Acadia a perfect choice for families. Made up of ’50s- and ’60s-era bungalows, the cost of an average detached home is approximately $396,000. With most amenities on close-by Macleod Trail, the west side of the neighbourhood proves to be the most sought-after by homebuyers.